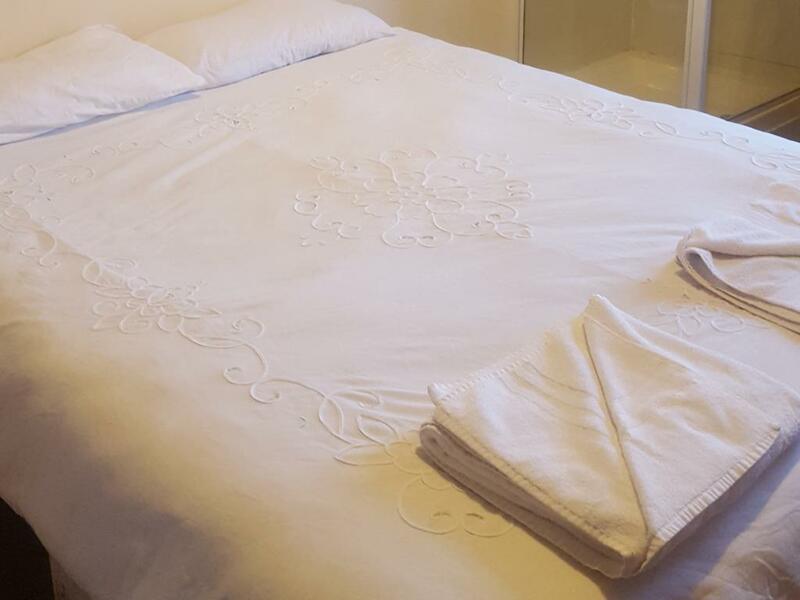 The twin room is a comfortable bright room offering two single beds and a private shower. The room offers tea/coffee making facilities. Although there is a private shower in the room, all rooms share a separate bathroom with a toilet and a seperate cloakroom. All twin rooms are light and comfortable, offering two single beds. 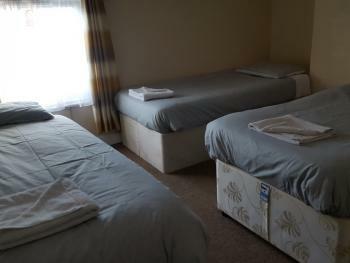 All rooms share a separate bathroom with a shower and have tea/coffee making facilities. The triple room is a comfortable room offering a single bed and double bed. 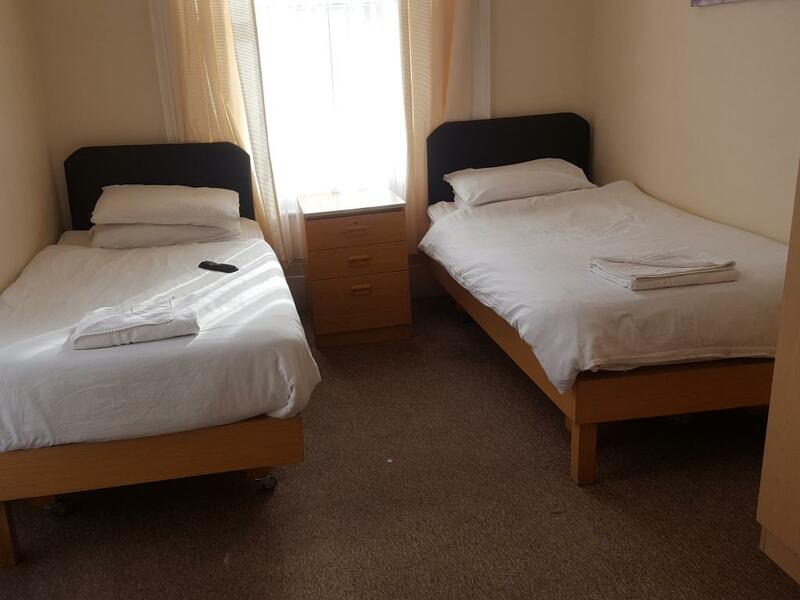 The room offers tea/coffee making facilities. 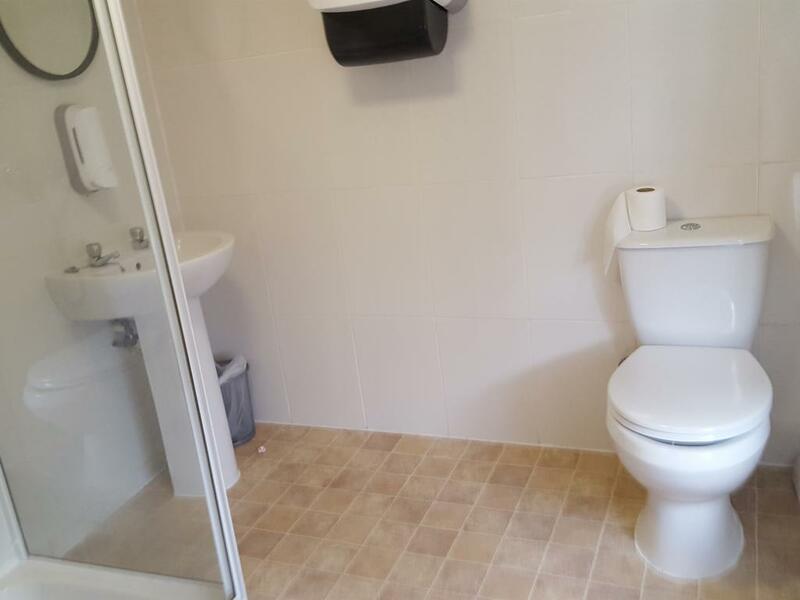 The room shares a separate bathroom with the rest of the rooms. The single room is a small room that does not have any natural light coming through, there is a single bed and a bed side cabinet. Complimentary tea and coffee making facilities are included. 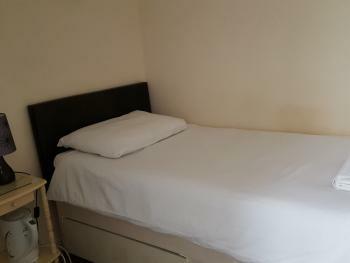 The room however is sufficient for those looking for a cost effective stay. 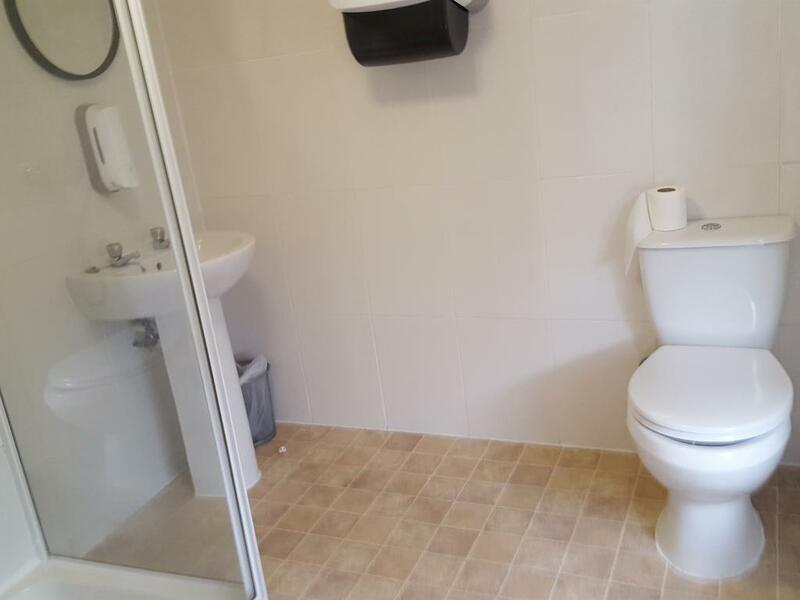 The room shares a separate bathroom with all the other rooms. The triple basic room offers three single beds. 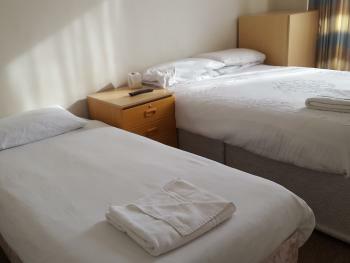 All rooms are comfortable and light with tea/coffee making facilities. 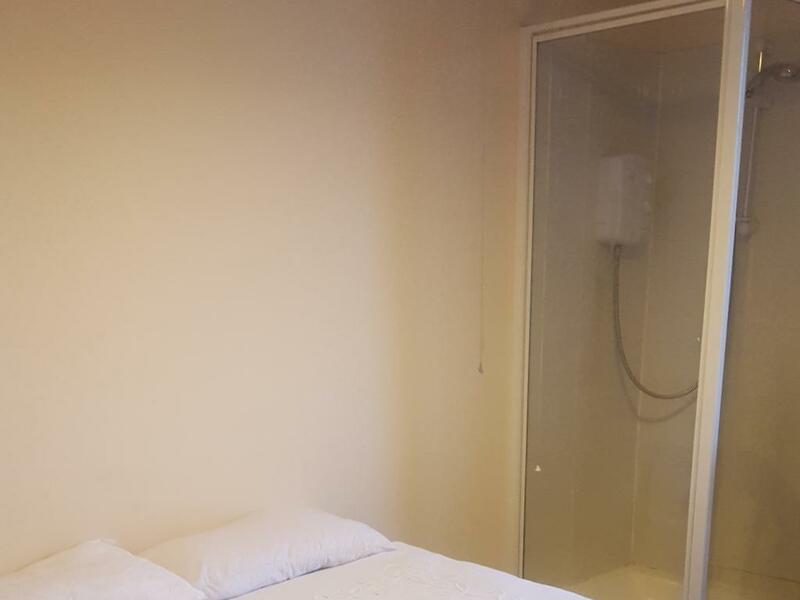 All rooms share a separate bathroom and cloakroom.